Well kept grounds, working on improving amenities, updated apartment units, in building laundry facilities. Hallway/stairway/laundry room needs updating as well. We just moved so I can’t say too much but so far so good. My husband and I love the apartment itself. We did move from a small apartment from Chicago so anything is going to be better. The staff here are super friendly and attentive to details. Maintainence crews are continually working to keep facility in good repair and safe....their response times are excellant. It’s been fine. The move in was easy and there weren’t people in the way. The appartment was clean when I moved in which made moving in quite easy. Nob Hill is a great place to live. They take great care of their residents. They have stuff to do for the whole family twice a month. Two large pools to swim in and a nice gym to work out. There were cockroaches when we arrived, but we called in a work order which was handed promptly. The gate at the dog park wouldn’t latch and once again we placed a work order and it was repaired. Still waiting for our gate to be repaired and to get access to the work out facility after office hours. I have lived here for 6 months now. I love it. My dog also loves it. We enjoy all the grass and even the dog park. It’s a great place to call home. We have started moving in and everyone has been so friendly! Nob Hill staff has been amazing, along with the residents. Everyone’s always smiling and waving! 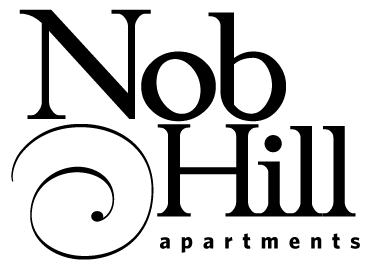 The leasing experience at Nob Hill was easy and fast. The staff were super helpful and friendly. The maintenance staff are thorough and fast as well. All is rigth. I don't have nothing baf to say... I like to live here. The people here is really very nice. The leasing and maintenance are really good too. What can I say! Nob Hill is a great environment to live at. It is a nice and peaceful place! The staffs are always polite and always willing to help your needs!! Great community! Quiet place. Issues are taken care of quickly! Been living here for about 6 months and have had no issues with staff or other residents. I like the apartment, would love to see the gate fixed. Other than that it's a great place to live really no complaints. Looking forward to the hallways being remodled. Overall its a nice area. I just don't like the low water toilets, the unbalanced water in the shower, and that the club house and main pool is only on one side of the apartments. I read there was supposed to be WiFi and that's one main reason I really wanted to live here, but I ended up buying my own which made me a bit upset because I thought I was going to save money. I kind of wish I had a porch or a balcony to put my bike. Very quiet. The office is quick to fix any problems. The reason for three stars is because something is always having to be fixed. From the water to the bugs. Also the water is still not fixed. I am impressed with how many events that are planned monthly! The complex is never littlered with trash and the workout room is always very clean! All is excelent, I love the events for residents. Good service, excelent maintenance, i like renewal the entrance the apartment, not smeel good and carpet is too older. I love it it’s a chill place to live the neighbors are friendly I love everything about this apartment. The inside of the apartments are very nice. I love it already. First night was a success! The apartment was so clean when I loved in that I didn’t have to do anything more. Also, it’s close to everything I need for shopping. I have had very pleasant experiences when talking to the office staff as well. Awesome place to live. Very active within the community! The staff is amazingly helpful! ☺️ I would definitely recommend No Hill to any and everyone.